A new Mars movie clip gives us a rover's-eye view of a bluish Martian sunset, while another clip shows the silhouette of the moon Phobos passing in front of the sun. America's Mars Exploration Rover Opportunity, carefully guided by researchers with an artistic sense, has recorded images used in the simulated movies. These holiday treats from the rover's panoramic camera, or Pancam, offer travel fans a view akin to standing on Mars and watching the sky. 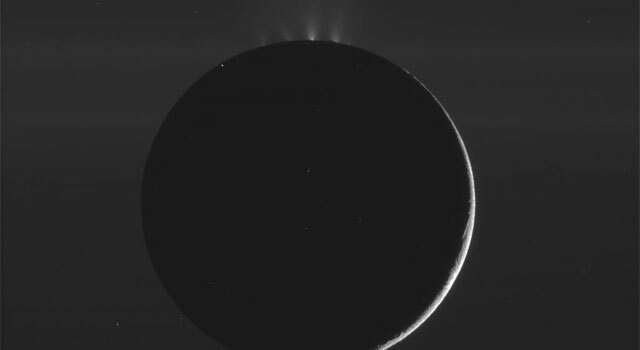 "These visualizations of an alien sunset show what it must have looked like for Opportunity, in a way we rarely get to see, with motion," said rover science team member Mark Lemmon of Texas A&M University, College Station. 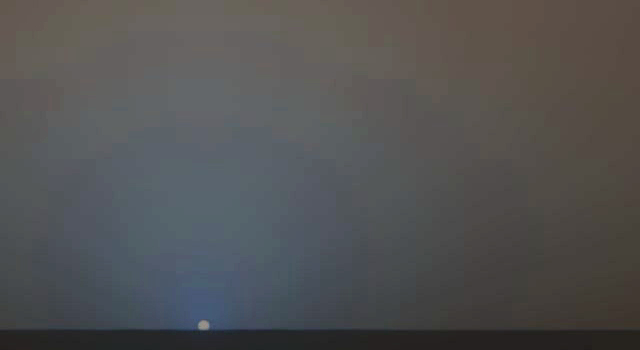 Dust particles make the Martian sky appear reddish and create a bluish glow around the sun. 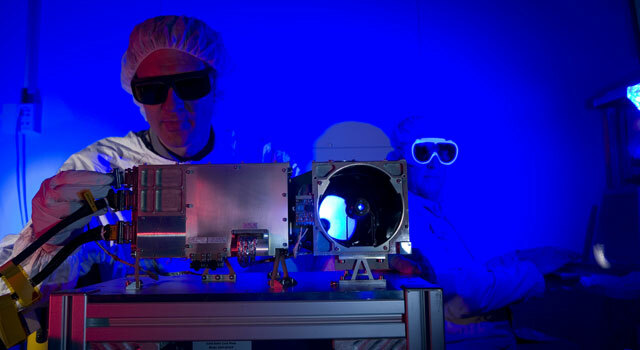 Lemmon worked with Pancam Lead Scientist Jim Bell, of Cornell University, Ithaca, N.Y., to plot the shots and make the moving-picture simulation from images taken several seconds apart in both sequences. The sunset movie, combining exposures taken Nov. 4 and Nov. 5, 2010, through different camera filters, accelerates about 17 minutes of sunset into a 30-second simulation. 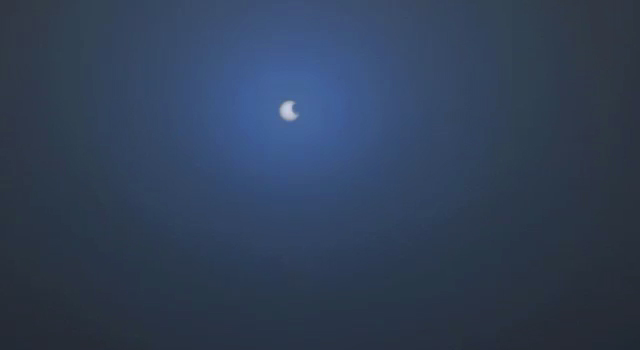 One of the filters is specifically used to look at the sun. Two other filters used for these shots provide color information. The rover team has taken Pancam images of sunsets on several previous occasions, gaining scientifically valuable information about the variability of dust in the lower atmosphere. 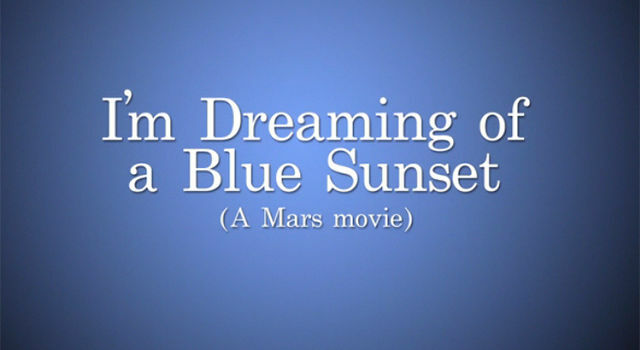 The new clip is the longest sunset movie from Mars ever produced, taking advantage of adequate solar energy currently available to Opportunity. The two Martian moons are too small to fully cover the face of the sun, as seen from the surface of Mars, so these events -- called transits or partial eclipses -- look quite different from a solar eclipse seen on Earth. Bell and Lemmon chose a transit by Phobos shortly before the Mars sunset on Nov. 9, 2010, for a set of Pancam exposures taken four seconds apart and combined into the new, 30-second, eclipse movie. Scientifically, images years apart that show Phobos' exact position relative to the sun at an exact moment in time aid studies of slight changes in the moon's orbit. This, in turn, adds information about the interior of Mars. The world has gained from these movies and from more than a quarter million other images from Opportunity and its twin, Spirit, since they landed on Mars in January 2004. Those gains go beyond the facts provided for science. Bell said, "For nearly seven years now, we've been using the cameras on Spirit and Opportunity to help us experience Mars as if we were there, viewing these spectacular vistas for ourselves. Whether it's seeing glorious sunsets and eclipses like these, or the many different and lovely sandy and rocky landscapes that we've driven through over the years, we are all truly exploring Mars through the lenses of our hardy robotic emissaries. "It reminds me of a favorite quote from French author Marcel Proust: 'The real voyage of discovery consists not in seeking new landscapes, but in having new eyes,'" he added. NASA's Jet Propulsion Laboratory, a division of the California Institute of Technology in Pasadena, manages the Mars Exploration Rover Project for NASA's Science Mission Directorate, Washington. For more information about the mission, see http://marsrovers.jpl.nasa.gov .